We all love to splurge on beauty products be it skincare or makeup, whenever we can right?! I know that as a beauty blogger my list is never ending, but sadly the same isn't true for my bank account. So of course budgeting my beauty spending is essential and this is where Fragrance Direct comes in. If you haven't heard of this online company before, their aim is to sell not only perfumes but also skincare, makeup, hair care, body care & beauty products in general at a discounted price. The prices are kept as low as possible, which definitely offers you an alternative to high street shopping. The best part about the website for me is the huge range of brands and products available. When Fragrance Direct got in touch I had a tough time trying to decide what I would opt for (it literally took me hours because the greedy part of me wanted everything). In the end I decided to try out a few cult products from Clarins & I'd like to share my first impressions with you. When I first researched Fragrance Direct I was happy to see amazing, high-end brands like Clarins, MAC, Bobbi Brown, Elemis... the list goes on and on. So if you're looking for a bargain or even a slight discount, definitely check out the site to see if they have it in stock and if you can manage to save any pennies on it (every little helps at the end of the day). So as I mentioned above I opted for a few Clarins skincare bargains since it's a range that I am always eager to try. 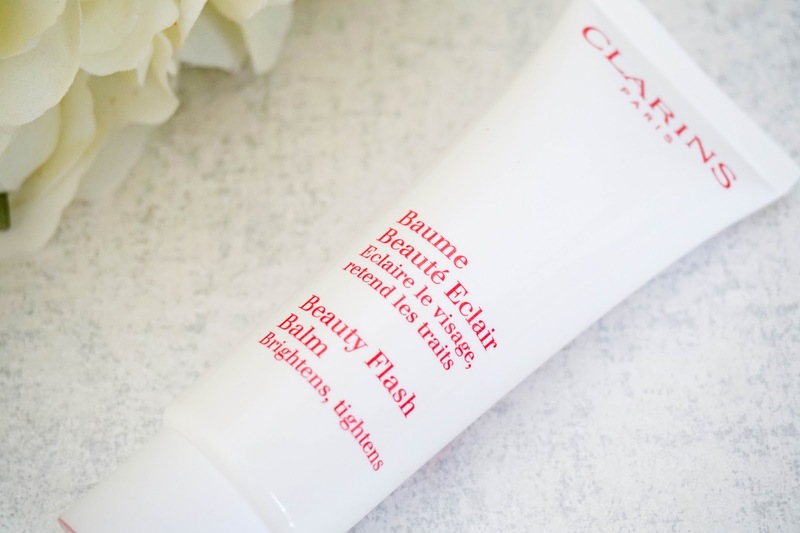 The first product I got my hands on is the Clarins Beauty Flash Balm* which is a cult product in it's own right and it has won many awards in the beauty world, so of course I was super excited to finally try it out for myself and see what the hype was about. 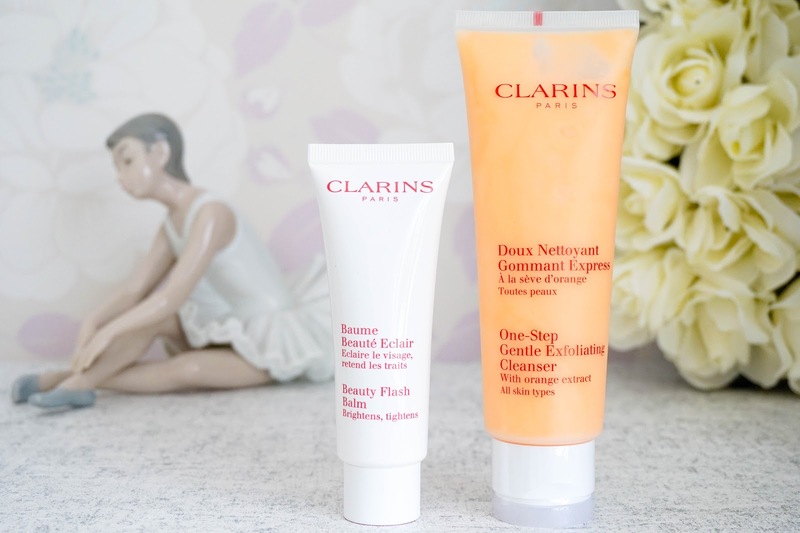 The Clarins Beauty Flash Balm is described as a quick pick me up that restores a radiant, youthful & firm appearance to the skin. I love the idea of primers, but to be honest I rarely remember to use them unless I've got the time to do my makeup in peace & quite (this is very rare when you have a busy toddler). However I've heard so many positive reviews on this particular product that I was instantly drawn to it and hoped it would be the primer to change my routine. After using this a couple of times I can confirm that all the hype is definitely worth it... this as a primer instantly perks up my skin, making it look radiant with a healthy glow. It has a lightweight texture, doesn't feel greasy or oily in any way so I would imagine most skin types could benefit from this. It feels hydrating to a certain level... as a dry skin gal I wouldn't skip on my moisturiser completely but it does provide a healthy base for my foundation, which helps me avoid any dry patches. It has a tightening & brightening effect on the skin overall, so my pores instantly look smaller & skin feels super smooth. There is one trick with this product and that is correct application. You should remember that a pea size amount is all you need for the entire face and you need to apply it by using light strokes (AVOID rubbing the product into the skin). Once you've got the right application, I'm sure you will benefit from this beauty hero product... I certainly am. 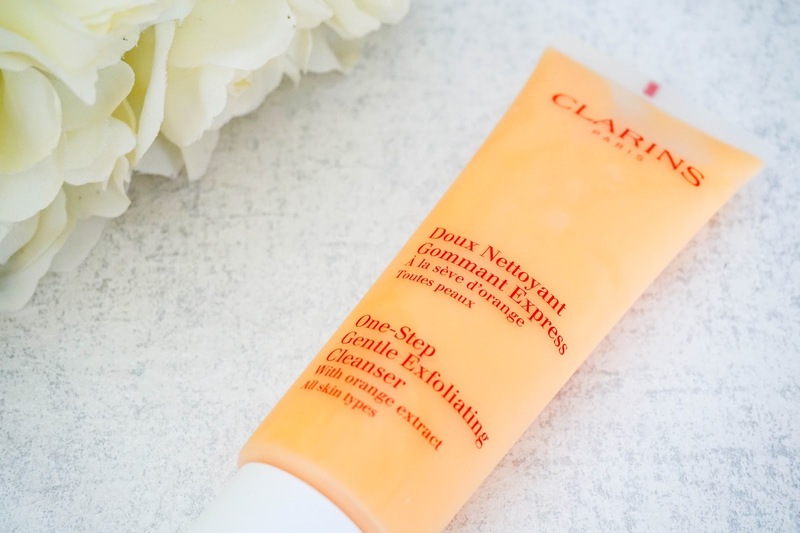 I also got my hands on another skincare favourite from Clarins and that is the One Step Gentle Exfoliating Cleanser*, which I have been using as my evening cleanser since receiving it. First of all I love the orange extract scent from this cleanser, super refreshing. The formula is a thick gel cream with tiny scrubbing grains, which lathers up slightly as you massage it in the skin with water. The cleanser is described as a bi-phase scrub that both cleanses and exfoliates, but I have found that on my dry skin especially it's not gentle enough to be used daily. So basically I save this for days when I am wearing makeup and want to have a deeper cleanse, this tends to be between 3 / 4 days of the week. I'd imagine it you have normal/combo/oily skin this could work as a daily cleanser much better however. For me using it more sparingly is perfect and I found that it really helps to remove every last trace of makeup (not eye makeup, as I use my Garnier Micellar Water for that) and take away any dead skin cells too. So I am left with super smooth and clean skin, which also helps my moisturiser or facial oil to sink in better afterwards. Overall it wouldn't be my holygrail kind of cleanser, but I am enjoying it at the moment. I do find that it's quite effective as a scrub & cleanser overall, but I wouldn't say it's gentle enough to be used daily on dry or sensitive skin types. So that's the end of my little Fragrance Direct haul... 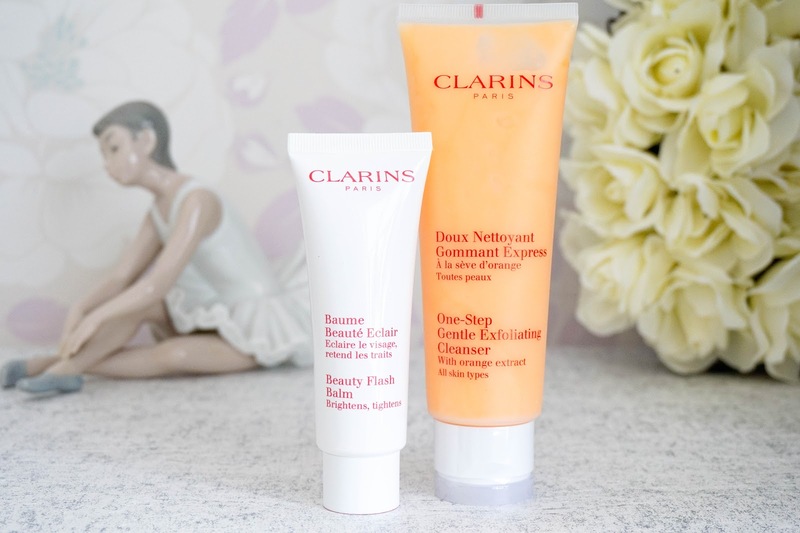 I was super excited to finally try out these Clarins skincare products since they have been on my radar for quite some time now and I can't say that I've been disappointed. What's your favourite Clarins products? Have you tried any of the two I have here?